More on the LumiSource Rumor Chair (Clear Acrylic) CHR-TW-RUMOR CL below. 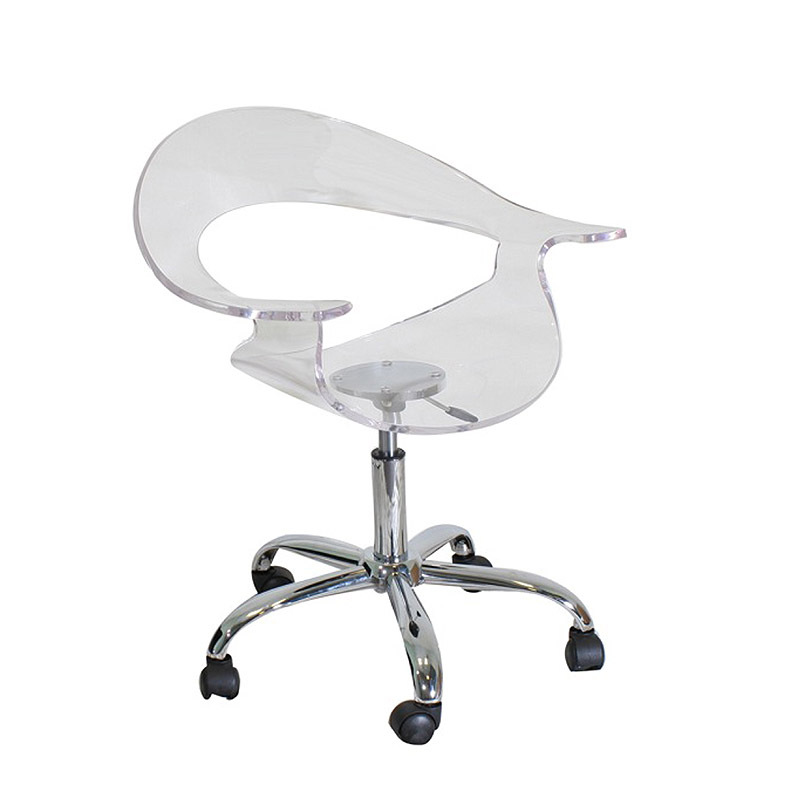 The clean lines and modern styling of the Rumor chair make this an excellent addition to your home or office. The back and arms create a comfortable cradle for your body. Features an acrylic seat and chrome pole. The casters and 360 degree swivel allow for easy movement, while the hydraulics allow you to adjust to the perfect height. Seat height adjusts from 15 to 20.5 inches. The back and arms create a comfortable cradle for your body. A clear acrylic seat and chrome pole. The casters and 360 degree swivel allow for easy movement, while the hydraulics allow you to adjust to the perfect height. Seat Adjusts: 15 to 20.5 H.
Also available in black acrylic. See related products below.